How To: Upgrade Your Outdoor Event! Everyone loves a great party and the girls at ABCey are no different! This season why not think outside the box when planning your next get together? We are bringing the typical outdoor party to the next level — by blending a few tech gadgets and a few old fashioned entertaining tricks together to help you create a spectacular event! 1. The Menu | Instead of leaving your guests in the dark about their dinner throughout cocktail hour, we suggest creating a chalkboard menu! 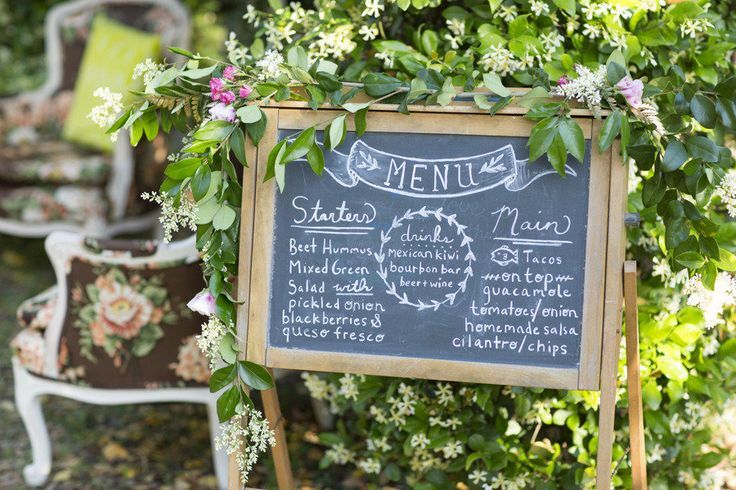 We love that this menu is framed and set in the garden, which gives off a laid-back atmosphere. If you are looking on how-to’s to write with chalk like a pro, check out these classes offered at The Makery! 2. Guilt Free Food | Phillips AirFryer | $330 | Meet the next star of your dinner parties! Everyone loves French fries, but no one enjoys the extra oils and calories that come with the delicious food. 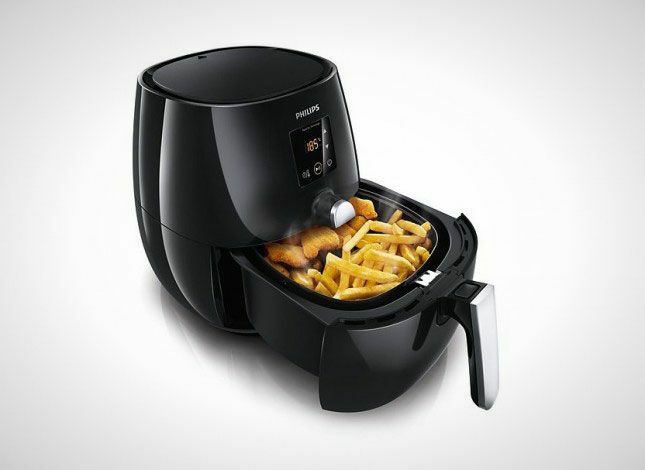 The AirFryer is similar to a slow cooker, but uses hot air and minimal oil to circulate throughout the cooking process. It has preset temperature control and a timer to allow cooking up to 390 degrees for healthier items! It’s also great since you can leave it to cook, while mingling with guests! 3. Mix & Match Materials | This drink cart highlights a few great summer entertaining tricks all in one! By mixing plastic glassware, glass vases, and the silver drink holder it adds dimension to the cart and allows the guest’s eye wander throughout the space. 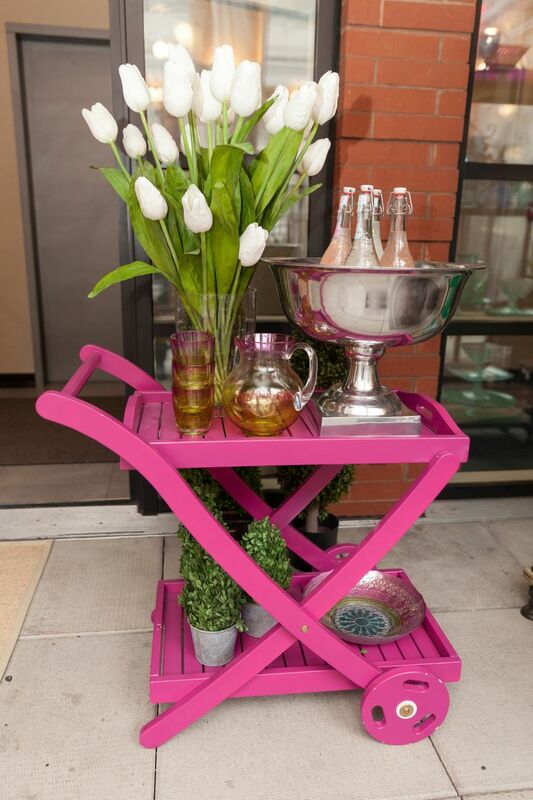 This cart even gets bonus points for the pop of color it will add to the greenery in the yard! 4. Specialty Cocktails | Perfect Drink Maker | $69.95 | This gadget gives the user real-time bartending advice as it connects to the free app on the owner’s smart device! 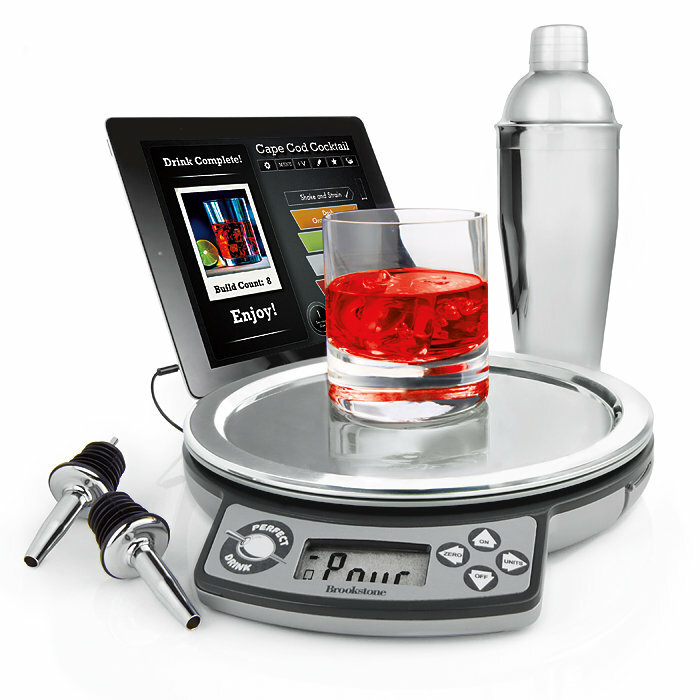 It includes hundreds of drink recipes and allows the bartender to watch on their smartphone the exact amount of each liquid needed for the drink. This is such a fun idea, and we know how much guests love to be introduced to unique drinks! 5. Out of the Box Themes | Summer is a catch-all for themes at parties, and we love the idea of changing the tone. Instead of planning a regular barbecue, we suggest planning an event with an unique theme such as Artisan & Craft. 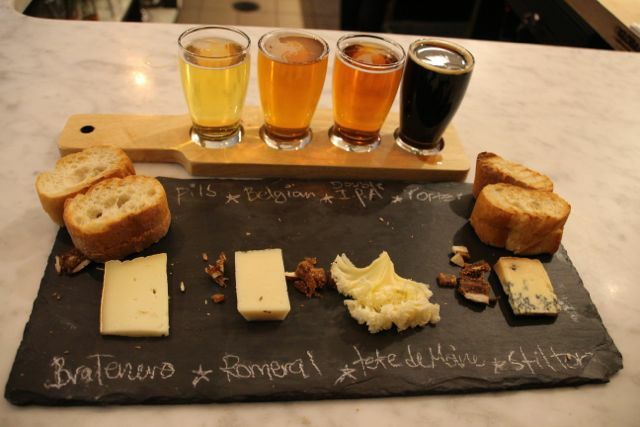 Introduce your guests to local beer and cheese pairings while enjoying a laid-back evening. We can’t think of a better get-together! Which idea would you implement in your next outdoor party? There are tons of ways to enhance the standard barbecue and we would love to hear your ideas too! Let us know in the comments below or on Facebook and Twitter!